Chicago – On Friday, Governor Bruce Rauner vetoed Senate Bill 730, which would have made child care affordable for tens of thousands of additional families and created thousands of jobs. Yet State Rep. Christine Winger sided with Bruce Rauner’s failed leadership and disordered priorities, voting no on SB730. State Rep. candidate Cynthia Borbas today called on the Rauner-backed incumbent to stand with working families and override the veto in the fall. 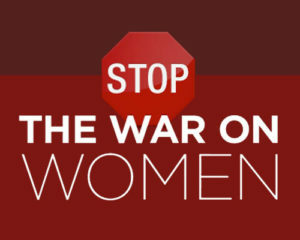 “The Republicans’ War on Women continues with this latest veto. From the hateful rhetoric of Donald Trump to the job-killing vetoes of Bruce Rauner, the GOP is devaluing and demeaning women’s work. Unfortunately, Representative Winger is showing herself to be cut from the same cloth. Instead of siding with Bloomingdale area families to create jobs and boost our local economy, Representative Winger voted for a policy that disproportionately forces women out of school, out of work, and off the path to greater earnings and advancement. It’s a shame that we have a State Representative who’s so beholden to Rauner’s millions that she can’t even vote for commonsense job-creating legislation like Senate Bill 730,” said Borbas.